From the archives: I had fun taking this photo of Powell Library when I was a undergrad at UCLA back in Winter Quarter 1983. If you're at all familiar with UCLA, you know this is a very difficult shot to get. Almost thirty years later, something I would not try again (or recommend others try). Chalk it up to an early "experiencing L.A." moment. So why was it so hard to take this photograph? 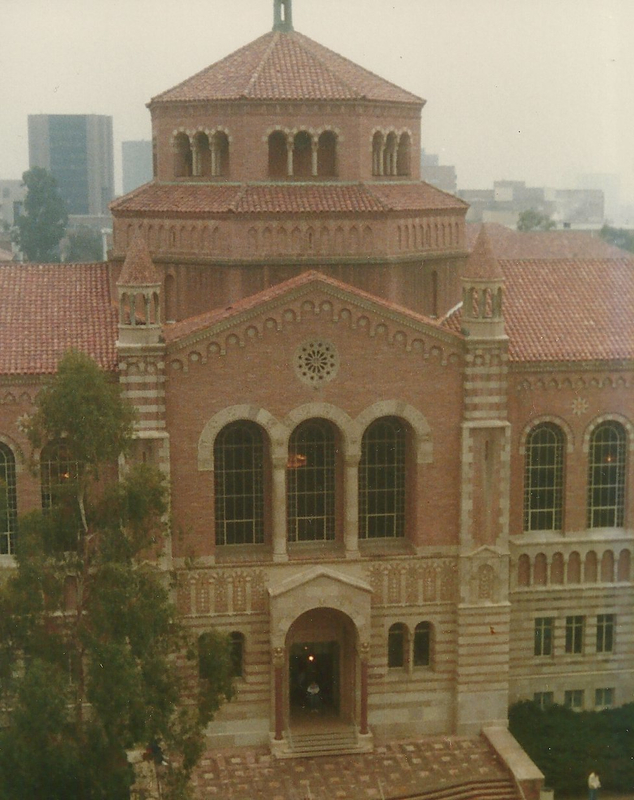 The photo was obviously taken from the top of Royce Hall - which is generally not open to the public. Or possibly one of the two towers. Not sure what the situation was in 1983 (before I was born).